While we’re proud of our classic and comfortable waiting room, our patients don’t end up spending much time in it when they pay us a visit. That’s because we value your busy schedule and keep our appointments running promptly so that you receive the quality care you deserve when you need it. This also means you’re able to return to work, continue your errands, or join your family without any wasteful gaps in your routine. 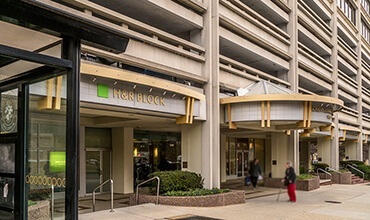 Our office is conveniently located in the Chevy Chase Medical Building in Friendship Heights Village. 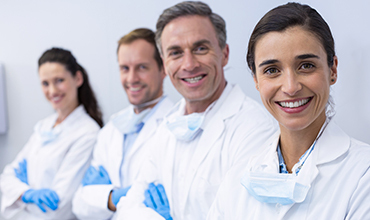 Having on-site associations with many doctors in related fields enables us to provide an impressive scope of options and expertise to better care for our patients as a whole. We are remarkably prepared to address any of your dental needs or desires. Additionally, we are only two blocks north of the Friendship Heights Metro stop on the red line! When choosing the right dentist for you or a loved one, you want to be as certain about your final decision as possible. With a 5-star rating on Google, Yelp, and Facebook, and several other review sites, it’s clear that Dr. Freyne is trusted by countless patients who have been able to improve their oral health and beauty with his experienced approach. Our team would love to welcome you too! Do you have any questions for our team? Are you ready to schedule a first appointment here in Chevy Chase, MD? Please give us a call! We look forward to helping you smile brighter.